40 Years of Great Food! “The best fast food place around”, from Homemade Italian Beef, Burgers, Hot Dogs, Gyros, and much more. What makes Jim and Tom’s above the rest is our diverse menu. Grecian Style Chicken with Greek Potatoes, Kabobs, Chicken Wings, BBQ Ribs with Homemade Barbecue Sauce, Steak Tacos and Burritos. Everything comes fast, fresh made, and delicious. Come in today and taste for yourself! Carry Out, Delivery, and Dine In Options to serve you better! Our food is always made fast, fresh, and delicious. 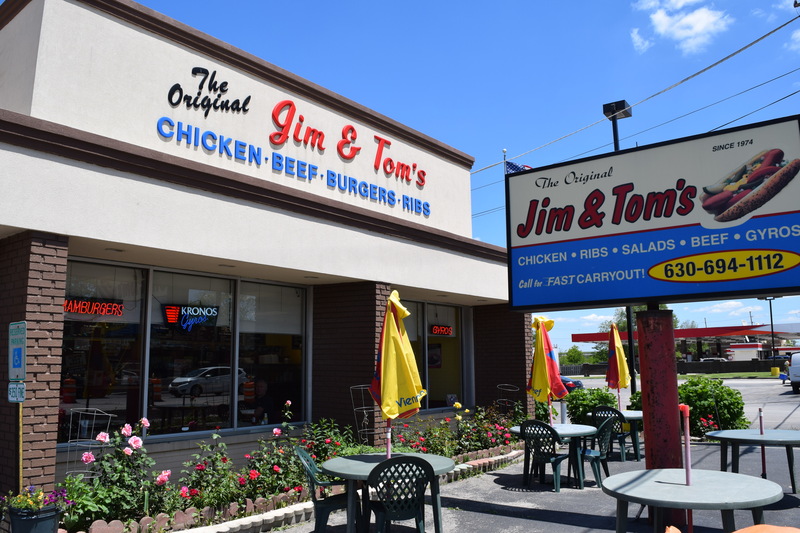 Now you can enjoy Jim & Tom’s 3 different ways; – Dine In – Carryout – Delivery. Time Limited? Call or fax in your order; we will have it ready for you to pick up or have it delivered. Recieve great deals and updates about us directly to your email!